This wine was tasted in a magnum. The 2004 Barbaresco Riserva Vigneto Gallina offers sheer delight and power. 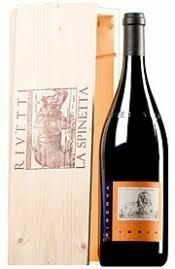 The fine intensity and pristine quality of the bouquet could ..
At 400 meters above sea level, the Valeirano vineyard is La Spinetta's highest in elevation. The site is characterized by sandy soils with many stones mixed within. The 2 .. The 2013 Barbaresco Starderi Vürsù is an elegant and polished wine with a deep sense of persistence and length. The wine delivers a tight embroidery of aromas that span f .. 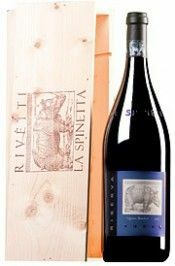 The La Spinetta Barbera d'Alba Gallina has a dense ruby red colour with wonderful aromas of dark fruits, truffles and flowers. Full and smoky with earth and dark fruit. V .. Tasted from magnum, the 2005 Barolo Riserva Vigneto Campè Vürsù exhibits a dark, brooding and impenetrable personality. This is a broad and sweeping expression of Nebbiol .. The 2008 Barolo Campe’ emerges from the glass with freshly cut flowers, mint, licorice and spices. This is a decidedly elegant, polished Barolo that stands apart from so .. This is wild and exotic with dried flowers, earth, spice and berry character. Full-bodied, dense and decadent with ripe and round tannins and a long, flavorful finish. Fa .. Vibrant cherry red colour, aromas of mint and plum with currants and black cherry on the palate, warm with soft tannins, great elegance, and round with a fine finish. Thi ..